Thousands gathered Friday in Christchurch as the Muslim call to prayer rang out, to remember the 50 people killed by a lone gunman at two mosques a week ago. At least 5,000 people stood quietly at Hagley Park in front of the Al Noor mosque. Prime Minister Jacinda Ardern joined them. "According to the Muslim faith, the Prophet Muhammad, Sallallahu Alayhi Wa Sallam (Peace be upon Him), said 'the believers in mutual kindness, compassion and sympathy are just like one body. 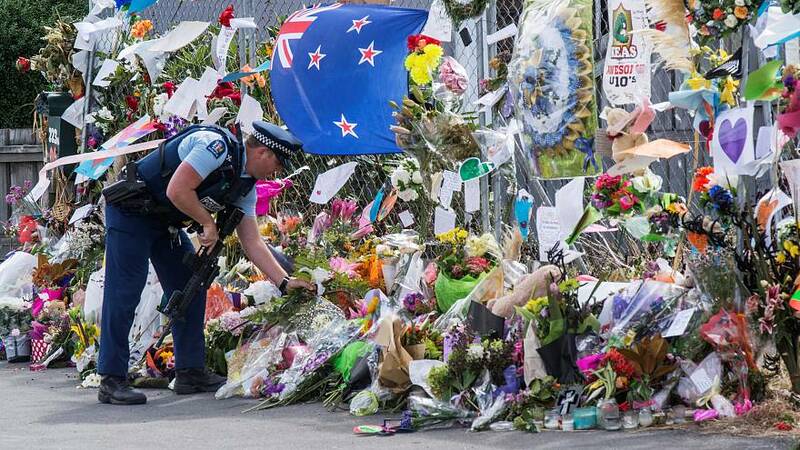 When any part of the body suffers, the whole body feels pain,' New Zealand mourns with you, we are one,” she said. Thanking New Zealanders for their support, the Al Noor mosque's imam, Gamal Fouda, said, "This terrorist sought to tear our nation apart with an evil ideology that has torn the world apart but instead we have shown that New Zealand is unbreakable and that the world can see in us an example of love and unity. We are broken-hearted but we are not broken. We are alive, we are together, we are determined to not let anyone divide us," the imam said. A total of 27 were buried at the cemetery on Friday (including someone from a separate car crash). The first person was Naeem Rashid who was hailed as a hero. He tried to tackle the gunman at the Al Noor mosque. Ardern swiftly denounced the attack as terrorism, announced a ban on military-style semi-automatic and assault rifles under tough new gun laws on Thursday.